Da’ Von Doane began his training at the Salisbury Studio of Dance (now Salisbury Dance Academy) where he trained with Betty Webster, Tatiana Akinfieva-Smith and Elena Manakhova. As a member of the schools’ regional dance company, the Eastern Shore Ballet Theatre, he performed various roles in annual productions of The Nutcracker, Coppélia, Scheherazade and the Polovtsian Dances¸ among others. Mr. Doane has attended summer intensives at the Kirov Academy of Ballet (Washington, D.C.) and the Atlantic Contemporary Ballet Theatre. At age 15, he returned to ACBT as a full-time academic student and trained there for four years. 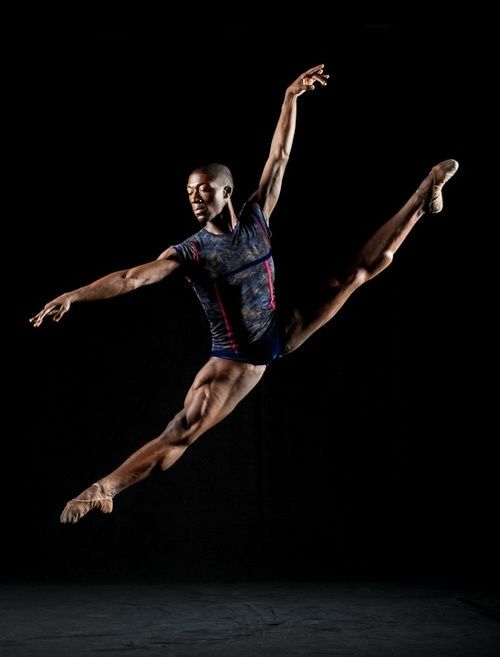 In 2008, Mr. Doane moved to New York City to join the Dance Theatre of Harlem Ensemble and performed at the Jacob’s Pillow Dance Festival that summer. In 2009, Mr. Doane performed with Ballet Noir at East River Park as part of SummerStage and with Jacob’s Pillow once again. In the fall of 2009, he danced as part of the Dance Theatre of Harlem with roles in the Joplin Dances, New Bach, the excerpt “Mother Popcorn,” Concerto In F, Fete Noir and South African Suite. And in the winter of 2009, he began touring with DTH as a part of its Dance for America Tour. As a guest artist, Mr. Doane has performed with the Classical Contemporary Ballet Theatre and with choreographer Ja’ Malik in 2009’s E-moves Emerging Choreographers Showcase. In the summer of 2010, Mr. Doane performed once again with Ballet Noir in the 200th Anniversary Chopin Celebration and the 2010 World Dance Gala in Kielce, Poland. In 2011, Mr. Doane danced roles in Glinka Pas de Trois, In the Mirror Of Her Mind and Contested Space.